WAAAM – What a day! 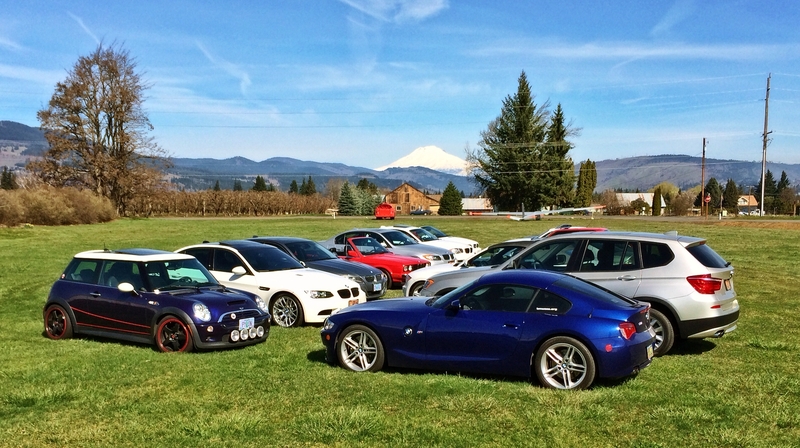 The first driving tour of the 2014 season was a stunner. Who would have thought that the convertibles would have tops down for a drive up the gorge in March. If you’re kicking yourself for missing our first tour, check the calendar for our next event and make sure you are there. You have all spring to get the yard in shape, come driving with us! Great weather and beautiful views greeted the participants of the tour. 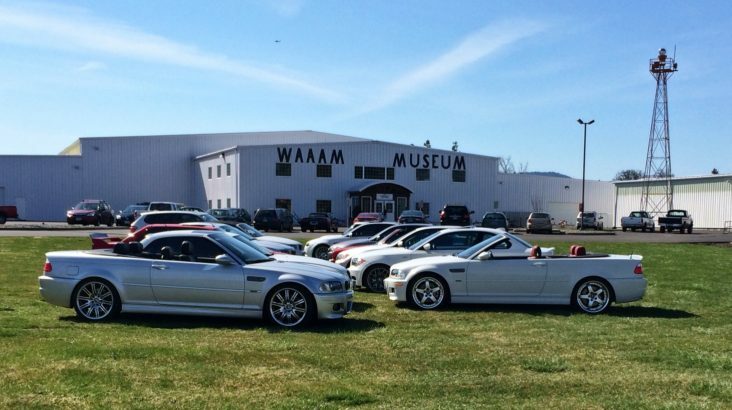 Our crew parked on the lawn at WAAAM with Mt. Adams in the distance.